The fear and excitement of the unknown stimulates my imagination beyond belief. The other night while at the park my sister and I got to talking about life and it really scared me because I still don't know what I want to be when I grow up. Yes, I know I'm already grown up and turning 30, but inside I still feel like a little child at times. This led me to the question-does everyone really know what they want to be when they grow up? Does everyone know exactly where they are going to be 5 years from now? No one can predict the future which is exciting but yet so scary. Wearing a new dress out of my normal realm? Scary and exciting. 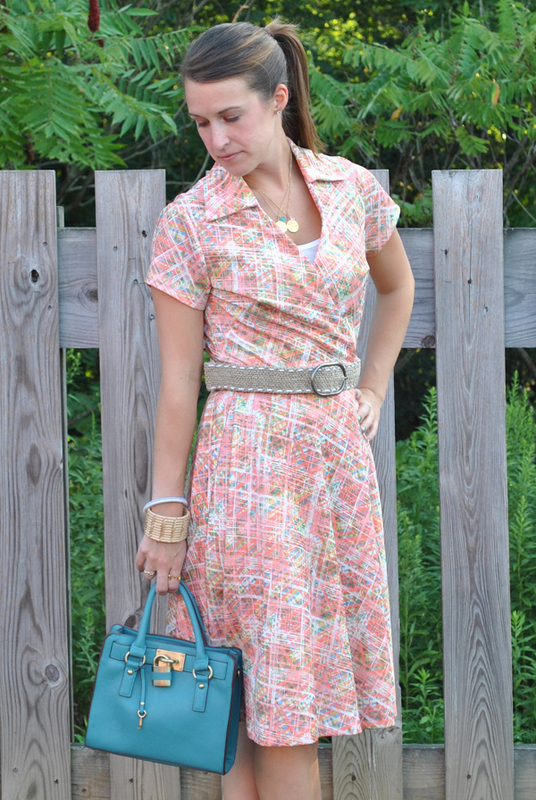 You might remember seeing a little bit of this dress HERE that I snagged last year during my Mad Men obsession. If you follow me on Tumblr (HERE) you know I've been re-inspired by Mad Men and vintage photos, this led me to pull this dress out the other day. 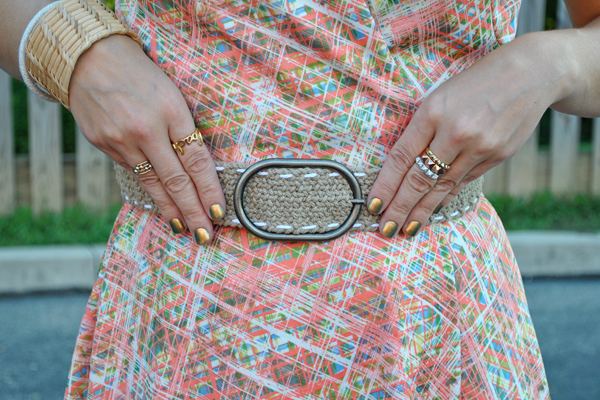 I love the brightness of the color pattern, and the shape is so versatile. With a crinoline slip underneath this dress would completely have that Mad Men vibe. I played it down a lil with a crocheted slip only because I don't own a crinoline slip. such a cute outfit! love your wedges and bag!